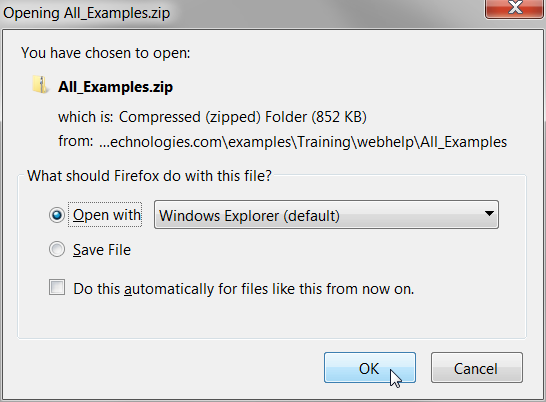 Download and extract the zip archive containing the example files. Change the help source from Internet to Local. If you are viewing this material outside the training course, this is not required. On the resulting dialog, select Open with Windows Explorer. Result: The individual schematic files will be located in directories specific to the module, such as C:\Training\Module_1_Examples\. Result: The Select Help Source dialog opens. Your current help source is selected. Select the Use Local Help radio button and click Ok. 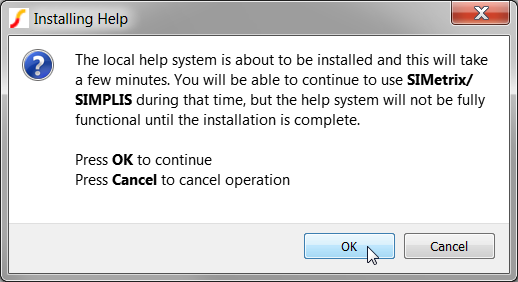 Result: SIMetrix/SIMPLIS installs the help system locally. This involves extracting a zip archive to your computer, which may take a few minutes. The next time you access the help system, a local file will be opened in your web browser. While the archive is extracting a window will be open indicating the extraction progress. After the extraction window closes the local help system is available to use. You can test this by running the menu Help > SIMPLIS Documentation . To get started, you will set some global options that will help with this course material. Many of these options will also help in your day-to-day work with SIMetrix/SIMPLIS. 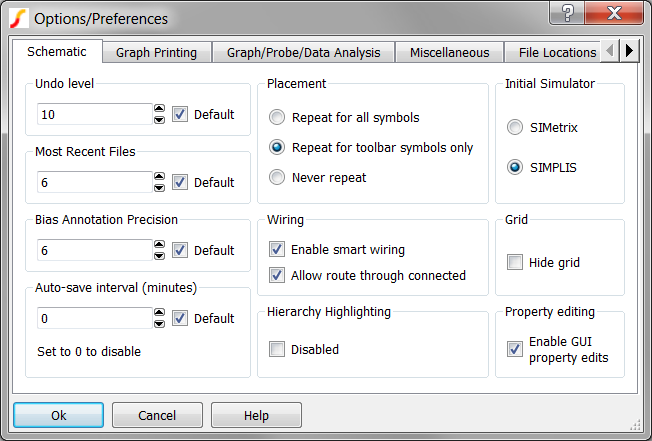 Once set, the global options persist and are defined to configure SIMetrix/SIMPLIS every time you use the program. From the menu bar, select File > Options > General... . In the Initial Simulator box in the upper right corner, click the radio button in front of SIMPLIS. Result: Each new schematic will now use the SIMPLIS simulator. Existing schematics are unaffected. In the Property editing box on the lower right, check Enable GUI property edits. Click Ok to accept the dialog and save the options. Result: The dialog closes, and SIMetrix/SIMPLIS saves your preferences.